I found PowerScore in the middle of a quarter-life crisis. After working in public schools in Michigan, I suffered the dreaded 5-year teacher burnout and decided to change careers. To what career, however, I had no idea. I enjoyed teaching and designing lessons, and I even liked learning about the standardized tests that were just starting to infiltrate the classroom, but I wanted out of the traditional school setting. I quit my job, packed my bags, and moved South. A year later I answered a classified ad in a local South Carolina paper (yep, I’ve been with PowerScore so long I learned about them in an actual newspaper). My first position with the company was as a customer service rep, answering phones and responding to emails and enrollments. But as time went on, the itch to teach just wouldn’t go away. Our development team was creating an SAT course and I decided to secretly study for the test, because if I could get a 99th percentile score, I could satisfy that itch while making some extra money as an SAT instructor. I didn’t want anyone at work to know I was doing it, though, because I wasn’t sure I could get that score and I didn’t want the pressure nor the disappointment in myself if I let anyone down. And he did. He walked me through the intricacies of the test, helped me unwrap my fear of functions, and taught me how to truly prepare. I had already obtained a 95th percentile score, so I didn’t have that much room for improvement, but after two months with our PowerScore methodologies, I increased my score by 220 points and joined the ranks of 99th percentile scorers. That brings me to the point of this blog, I guess. How did I study? I was single at the time, so I had an entire kitchen table to myself. It was an old table salvaged by my mom from the trash pile at the end of my great-grandparents’ driveway; I never used it for anything, really, other than giving guests the (false) impression that I actually cooked lavish meals and ate them there. So the kitchen table became “SAT Central.” I tried to block out 1 to 2 hours on weekday evenings and 2 to 3 hours on Saturday and Sunday, with an occasional 4 hour practice test on a weekend. As a middle school student, I attended an experimental school without walls, so I had to have music playing when I studied. Seriously. No walls. You’ve got to love the 80s. There were four classrooms to a pod, divided only by 5-foot moveable partitions, and I could hear and usually see my English teacher, my science teacher, and my social studies teacher when I was in math class. As crazy as it sounds, my former classmates and I all agree we are much better at studying with distractions than most others. I usually resorted to an iPod playlist (this was 2005, remember) with an assortment of ballads and easy listening tracks that you would be hard pressed to ever get me to reveal, only because my kids would die of embarrassment. Dave taught me to take apart each question on the SAT, which was the major difference between my 95th percentile score and eventual 99th percentile score. I created a spreadsheet for every question in the official guide and recorded the question type or the content assessed. For example, in Math, I would write “Geometry—Special Triangles” or “Algebra—Quadratic Equation.” I cataloged the questions in the same way in Reading and Writing, but I also closely examined each wrong answer and determined why it was wrong. So for a Reading question, I may write “Main Idea” or “Facts and Details” or “Author’s Attitude” and then note what made each answer choices wrong, such as “one word is incorrect” or “the language is too extreme.” After a couple of tests, major patterns began to appear and I could see how often these concepts were used. This boosted my confidence considerably, as I now understood that there were a finite number of topics tested and I was not going to be surprised by something I didn’t understand. By the time I finished the official guide and my studies with Dave, I knew the test, I knew the test makers’ strategies, and I knew my score was going to increase. I didn’t have to work on time management too much. I found that as I became more comfortable with the solution strategies and the assessed concepts, my timing naturally improved. I’m an avid reader and as a result I do not struggle with timing when reading passages, but I can use up too much time in math when faced with a seemingly difficult question. With the help of a timer, I learned how to gauge the recommended time per question, and by breaking down the tests, I learned that most difficult questions are not really time-consuming even if they appear that way. I bought a purple watch from the clearance aisle at Walmart since I wasn’t sure if my timer would be allowed in the test center (it wasn’t). I’ve used the watch many times since then because I try to take the tests frequently to monitor any changes. It’s the closest thing I have to a good luck charm. I did not study the day before the test because I’m much more astute after a day of rest. On the morning of the test, I sat in my car reviewing vocabulary words, partly because a few of them were causing me difficulty and partly because I didn’t want to stand out from the 16 and 17 year olds—who were waiting for the test center doors to open—any longer than I had to. 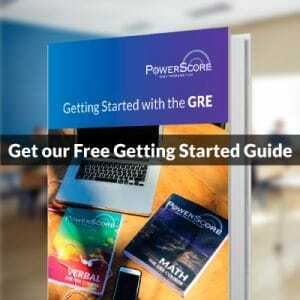 Once I got to my seat, I studied the “Final Review” from the PowerScore SAT course as a last minute reminder of all of the strategies I had learned. After that second SAT, I got to go back to the classroom and teach. But more importantly, it opened up a new career path for me; I have since gone on to develop many of our courses and write several of our books. My current obsession is the GRE, mainly because it is so much like that intimidating 2005 SAT that I learned to master (ETS contributed significantly to the development of the SAT between 2005 and 2015. If you ever run out of official GRE practice questions, I highly recommend using old SATs from this time frame). I’m not like Dave and other PowerScore instructors, though, who are so naturally intelligent that they intuitively know how to take tests and solve problems. I had to work hard at it, but I think this helps in my role as developer and instructor because I know what misconceptions you need to banish and the struggles that you may face while doing so. I can show you exactly how I tackled each problem, and if I can do it, anyone can. All you need is a cleared kitchen table. 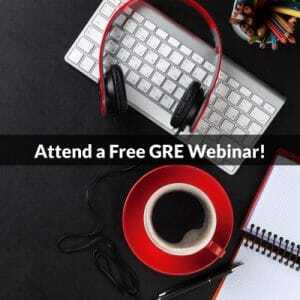 Need help studying for the GRE? Check out what we have available to help you get into the college you want with the score you need. We offer in-person and online courses, tutoring packages, books, and free help–available right at your fingertips.